April is when spring is in full swing. Just like the saying goes, it really is a time for April showers and May flowers. This not only says the days are rainy, but it symbolizes that we should always sprinkle a bit of love and kindness into everything we do. This April, Amazing Kids! Magazine challenges you to spread kindness everywhere and to everyone. After caring for her grandmother with dementia, Hailey Richman wanted to help raise awareness about helping a loved one with the disease. She has started the organization Kid Caregviers and was appointed assistant director of Puzzles to Remember. These both help those with Alzheimer’s by encouraging caregivers to spend time with their loved ones and give them fun activities to do. Read on to find out more about Hailey and her organizations! Hailey’s grandmother was diagnosed with Alzheimer’s disease when Hailey was four. Hailey helped care for her grandmother and found ways to make patients feel the most comfortable. Having Alzheimer’s does not define your life, and like Hailey says, you are still a person with feelings, just like anyone else. Patients still deserve to be cared for. She advises that Alzheimer’s patients may not remember things as well but that patients are still able to have fun despite their condition. Hailey mentions that happy times can still happen. For Hailey, her interest in helping create a bond between patients and caregivers started with her own experience. She took care of her grandmother and provided hours of companionship and care. She knew that there were other caregivers, like kids, who were also in her situation and wanted to help their loved ones the best they could. Unfortunately, there seemed to be no program available for kids wanting to talk to other kids about their experience caring for those with Alzheimer’s. So, Hailey took matters into her own hands. Taking care of loved ones is something that is very important to Hailey, particularly kids as caregivers. So, she started the organization Kid Caregivers. It allows kids to share their experiences with one another and exchange advice and stories. Some kids might not know what to do if someone they know has dementia, and Hailey’s support group is a great place to find answers and get helpful advice. In addition to informing kids, Hailey also brings friends to nursing homes, where seniors may feel lonely. She focuses on pairing kids with those who do not receive visitors. The Kid Caregivers and seniors have lots of fun together, doing activities that include listening to music, playing with HASBRO JOY FOR ALL robotic pets, and working on puzzles together. Hailey believes that solving puzzles is great for those who have Alzheimer’s. It helps exercise their minds and stimulates a part of their brain that is responsible for controlling their mood. Hailey also mentions that it gives seniors with Alzheimer’s a feeling of purpose and allows them to have a goal to complete. She has started collecting puzzles and brings them to nursing homes. She not only donates puzzles but spends quality time working on the puzzles with seniors. Her work attracted the attention of Max Walleck, who started the organization Puzzles to Remember. It, too, helps those with dementia. Max collects puzzles, which he distributes to nursing homes. To date, he has collected over 4,000 puzzles. Hailey was inspired by his work and got the inspiration to collect puzzles. Max recognized all of Hailey’s hard work by awarding her the position of Assistant Director at Puzzles to Remember. Together, Hailey and Max aim to provide more and more seniors puzzles and make them comfortable. Hailey was awarded the GenerationOn and HASBRO Community Children’s Action award. 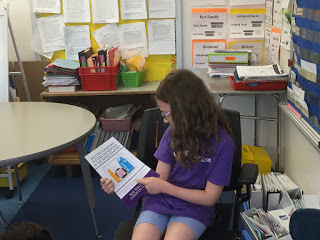 She is really honored and excited that more people will know about Kid Caregivers and Puzzles to Remember, enabling Hailey to reach more and more Alzheimer’s patients. Currently, Hailey is working on innovations which will benefit the Alzheimer’s community, like a memory device to prevent seniors from falling. She is also working on a book. You, too, can help out seniors in your community by visiting nursing homes near your community. Spend a fun afternoon together working on a project or solving a puzzle, or even just talking. We wish Hailey the best of luck and know she will continue to create amazing things!